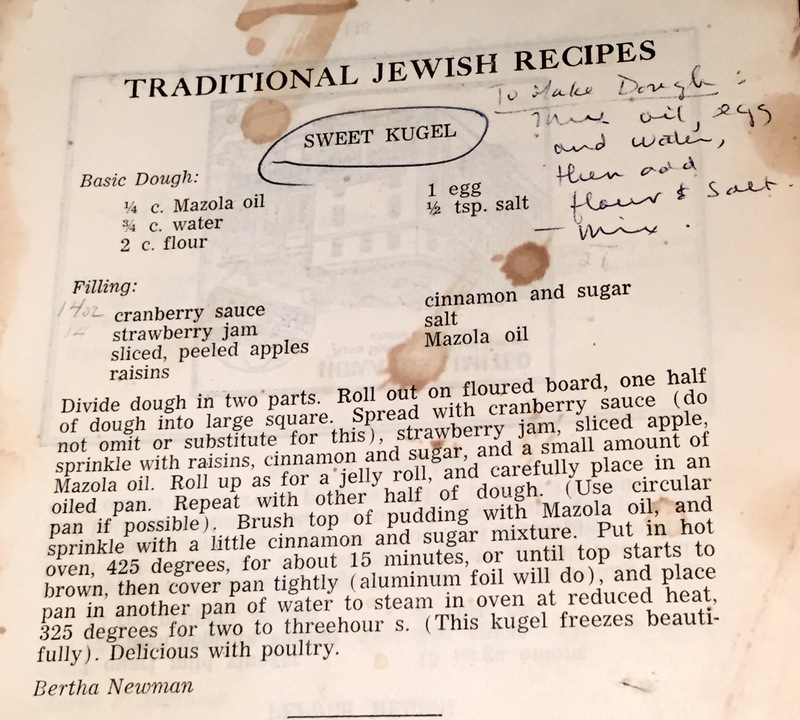 It’s time to make my mother’s sweet kugel again – it’s a once a year thing which I bake around Christmas time. I’m a week early this year mostly because I’ve committed to making four and I wanted to get them done and in the freezer so I can cross them off my “to-do” list. 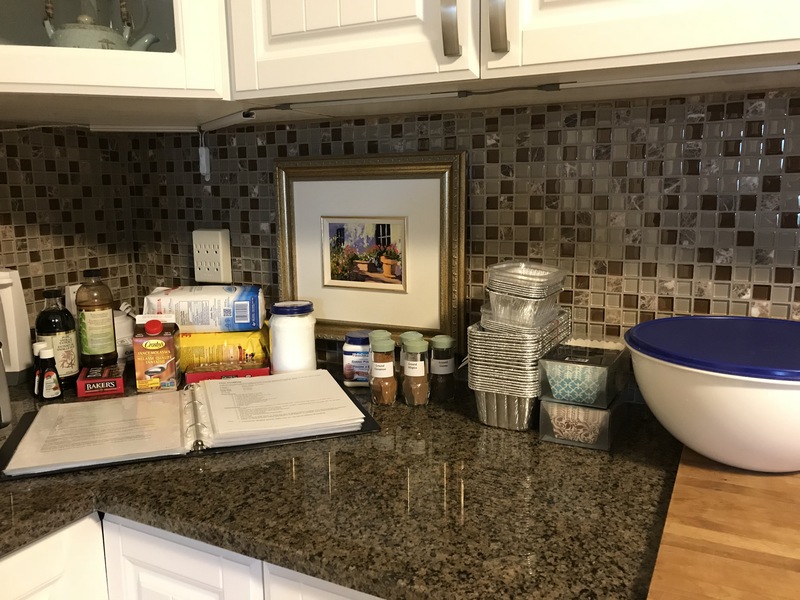 This year I had help – I was mentioning today would be kugel making day and Deb thought it would be interesting – I Invited her to help me make them. With two of us preparing the dough, slicing the apples, rolling dough… we were done the whole production in just over an hour including the clean up! 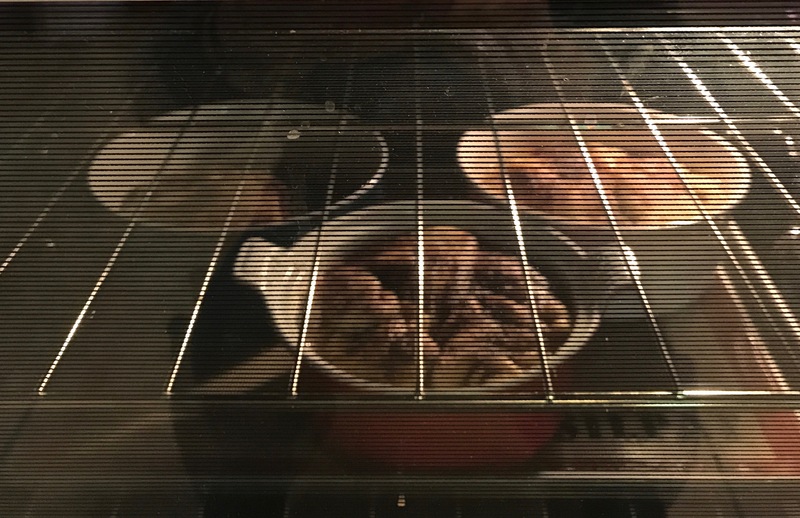 I took the kugels out of the baking dishes before they were fully cooled because the juices get very thick when cold and I wanted the pastry to fall out onto waxed paper when I inverted the dishes. They’re all wrapped and in the freezer and the dishes washed and put away. A brief recap: this dish is made with a sticky stretchy dough – flour, a beaten egg, 1/4 c vegetable oil, 3/4 c water (pinch of salt). Once rolled out it’s covered with cinnamon/sugar, strawberry jam, cranberry sauce (with berries), finely sliced apples, raisins. 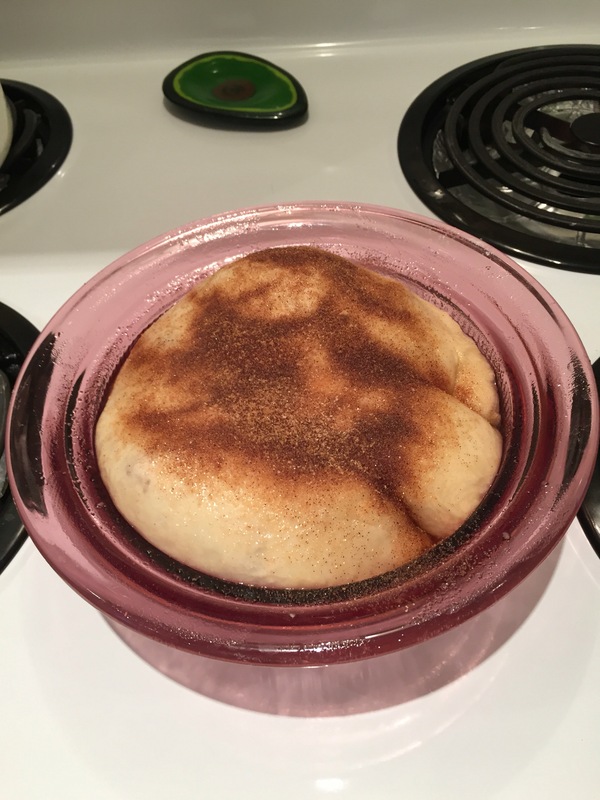 Then you fold the dough edges over the filling, gingerly pick it up and plop it in to a greased baking dish bottom side up, sprinkle more cinnamon/sugar on top, bake at 425 for 15-20 minutes (until top starts to brown) then reduce heat to 325 and bake another hour, hour and a quarter, covered. The kitchen smells wonderful by the time the kugels are baked. I described in detail how the kugels are made and provided the recipe two years ago. I made them the same way this time. I had one in my freezer from last year and when my friend Elayne was visiting late summer I was looking for a dessert and decided to defrost it and we had it with ice cream so while the dish is intended to be served as a savoury – it’s also a lovely dessert! I’m all set to make and bake the Christmas cakes on the weekend. The fruit will have soaked in rum for a week (large white bowl with blue lid). I have the flour and sugar, baking soda and baking powder, molasses and semi-sweet chocolate, real vanilla and almond extract, ginger, nutmeg, clove, allspice and cinnamon (the seville orange marmalade has already been incorporated into the soaking fruit). The foil baking pans and parchment paper are on hand, butter and eggs still in the refrigerator but I’ll bring them out Friday night so they can come to room temperature before I start to mix ingredients. I’ll start by prepping the foil load pans by adding a wee bit of vegetable oil to the bottom and sides of each (to stick the parchment in place), fitting in parchment paper (so I can lift out the cake more easily after they’ve cooled). 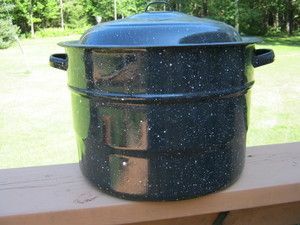 Then I need to retrieve my lobster pot (an old 21 litre blue/white enamel canning pot I mostly use for mixing the Christmas cakes), wipe it out, find a sturdy mixing spoon because the fruit is heavy to mix. It’ll take me close to an hour to mix the batter, add and blend it with the fruit. 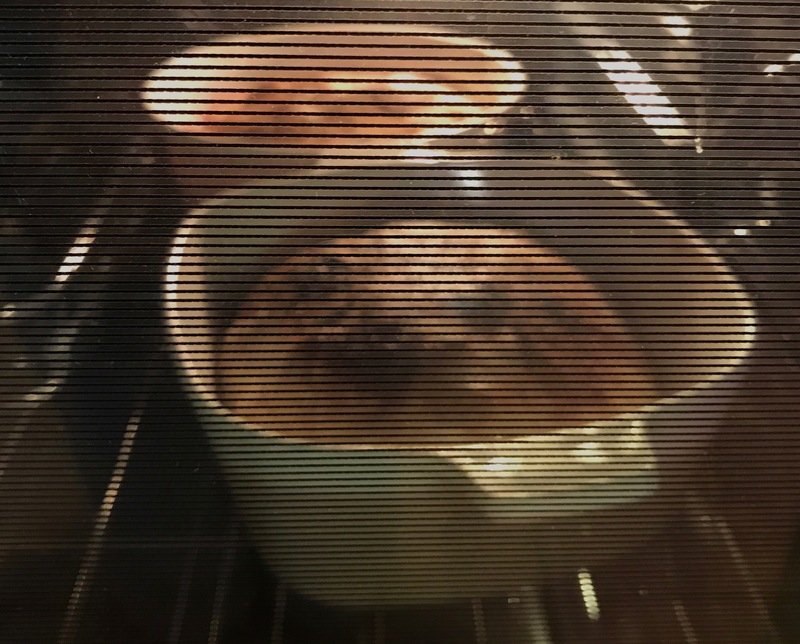 Finally, I’ll partially fill the lined loaf pans (too full and they’ll overflow into the oven), then bake them in a slow oven until a skewer comes out clean. If you’re interested here’s the recipe. Trust me, it’s a delicious dark fruit cake if you like dark fruit cake. I haven’t mentioned the Christmas shortbread bars yet. It’s the only other Christmas baking I do. I make one cookie sheet, cut it into eighths and give 7 away! They’re too rich to keep around. They’ll get made closer to Christmas and this year I will try to remember to take a picture to share. 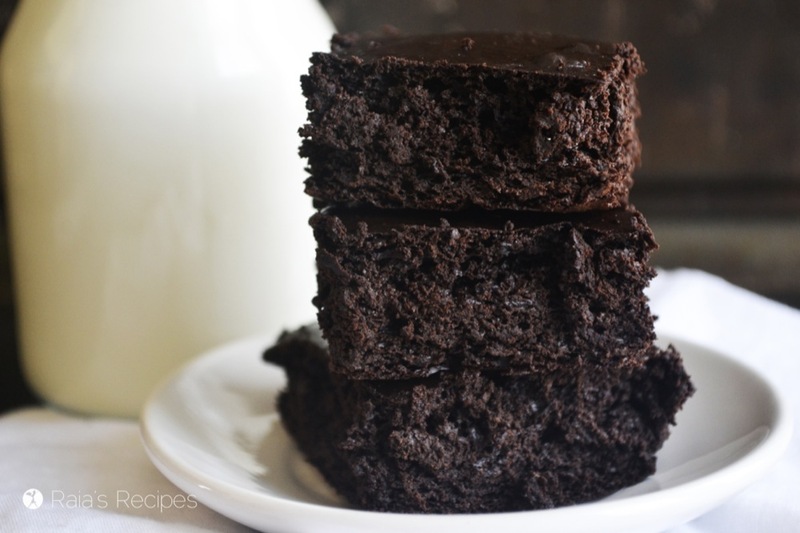 This is what they look like – VERY chocolatey and moist. In a medium size bowl: measure out the cocoa powder and baking soda (I use 1 tsp). Pour into a parchment lined 8×8 or 9×9 cake pan, bake for 25-30 minutes or until knife comes out clean. This is important: let brownies cool for at least 10 minutes before removing from pan. The brownies freeze well. I get 16 servings from one pan – they’re so rich that I quarter the brownies, then quarter them again. Yum! 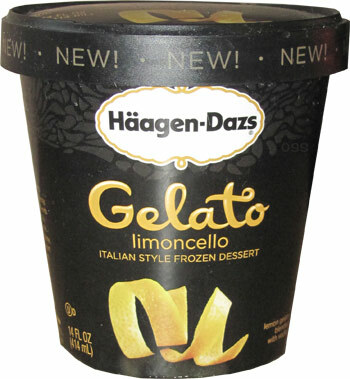 The tanginess of the lemon with the intense chocolate is very satisfying. You can even go further and splash some Bailey’s Irish Cream over the whole thing but then, of course you’re adding more sugar and diary! But who really cares, right? The recipe (without the additions) can be gluten, dairy, and grain free! My mother used to make this dish to accompany a savoury meal – not just for Christmas, she made it on other holiday occasions. 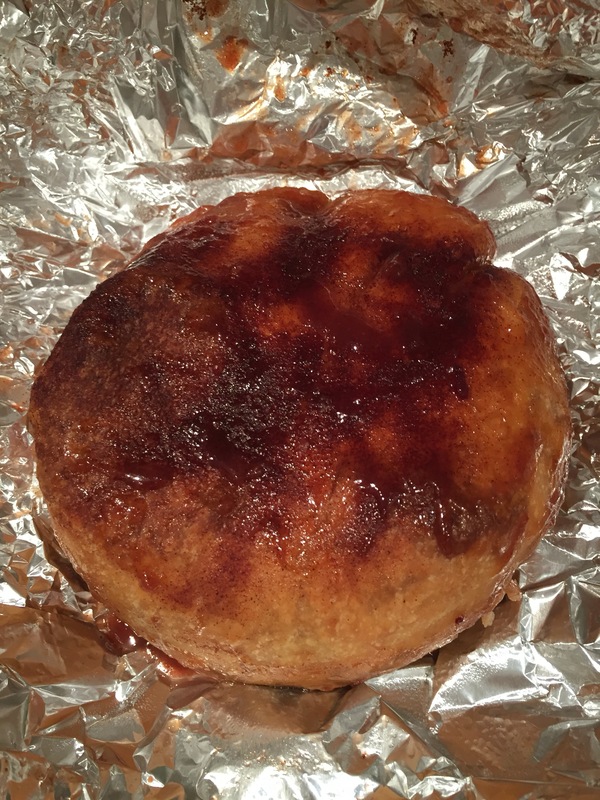 I make it only at Christmas if I’m asked to – otherwise I’d simply eat the whole thing myself…. I was asked a couple of weeks ago to make the sweet kugel for Christmas dinner. The dish used to be my youngest sister’s favourite, I asked if she wanted one for her freezer. So, I was making two. Last night a friend was discussing her modest Christmas dinner with her husband and her mother – I offered to make one for her, too. Over the last few days I have been collecting the ingredients – this afternoon I made the kugels. It’s a tricky dough – flour, egg, water, small amount of oil, pinch of salt. It’s very stretchy and sticky. 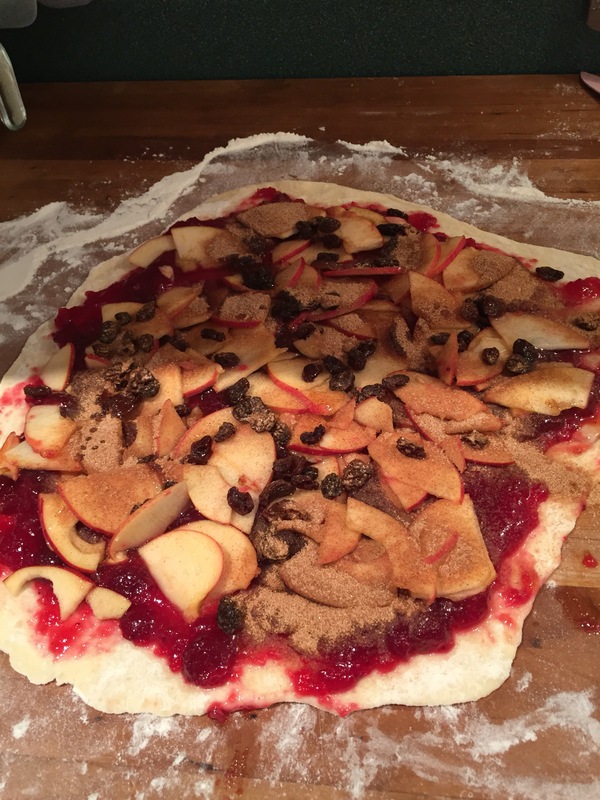 Once rolled out (on a heavily floured board) it gets covered with cranberry sauce, strawberry jam, sliced apples, raisins, a drizzle of vegetable oil, sprinkled with cinnamon and sugar. THEN you try rolling it (like a strudel – which is what this kugel sort of is). I flop the edges toward the centre, then finally get my hands underneath, turn it over, and drop it into an oiled round baking dish. Small kugels like these bake for about an hour and a half at a 325 oven. If the top starts getting too dark, I cover them with foil. Ready to be put in an oven proof dish to reheat covered with foil for about 30 minutes and then served with the turkey! 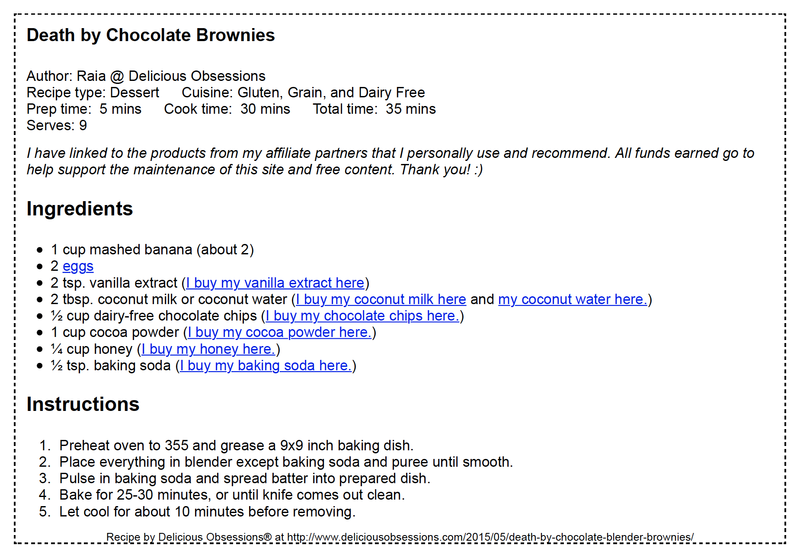 Can you believe it – I could not find a version of this recipe online. As well, as long as I’ve been making this recipe (I’ve been making it for 30 or more years – I only make it once a year at Christmas time and give 7/8 of it away), I’ve never taken a photo of the finished bars! So I’ve commandeered a couple of images to represent my Christmas Shortbread Bars but while mine kind of look like these, mine are WAAY better (I’ll add pictures when I make these in December, promise)! 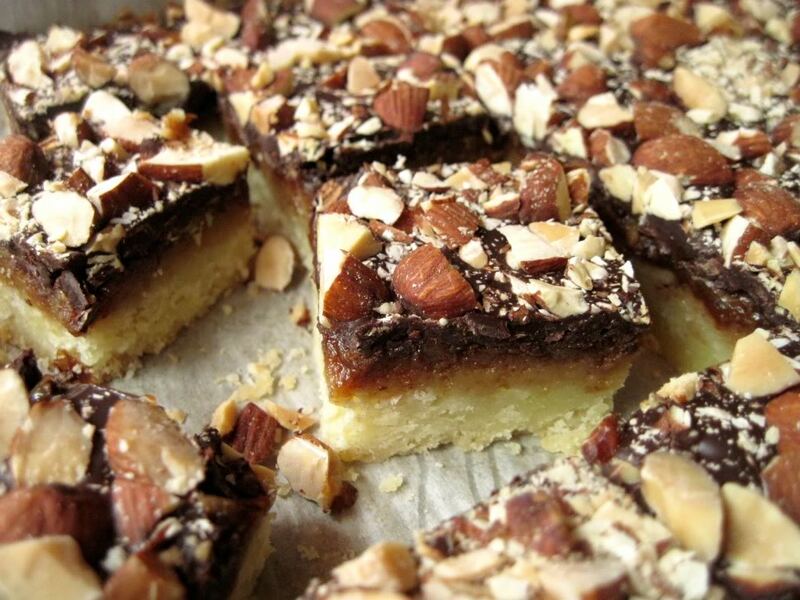 The original recipe came from a box of Robin Hood Shortbread Mix (hasn’t been available for years) – with a recipe for a candied fruit topping. However I have a terrific shortbread recipe “Mrs. Cooke’s Shortbread” (which I got from a friend at least 40 years ago) which I thought would make a great base for the fruit mix. My fruit mix is rich and it’s all held together with one can of Eagle Brand Condensed Milk. Bake for 15 minutes, then rotate cookie sheet 180° so the shortbread bakes evenly, then bake for another 15 minutes. Put all the topping ingredients into a large bowl, add the condensed milk and mix as well as you can – it’s a sticky mess but is it ever going to be good. Spoon the fruit/condensed milk mixture onto the shortbread making sure you spread it evenly to cover the entire surface of the shortbread (try getting as close to the edges as you can – don’t want to waste any of this Christmas bar). Bake 25-30 minutes at 350° – until the coconut begins to turn golden. Cool on a rack, then cut into bars. I cut the entire concoction into 8 portions – which in turn can be cut into 12-16 bite-sized bars. This stuff is SOOO rich you don’t want to serve more (although you’ll want to eat more). 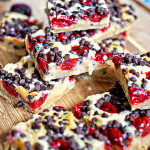 I make these Christmas bars about three-four weeks before Christmas. Slip each of the 8 portions into its own small ziploc plastic bag, store them in the fridge until I give them away. Let me know how it goes if you decide to try them – they’ll be an instant favourite – trust me!